Do cats grieve? The answer is yes and we've found a few ways to help your sad cat mourn the loss of a kitty or human companion. Do cats grieve? Back in the dark ages of animal care, few people, including veterinarians, believed that cats grieve for deceased friends. But times have changed. In 1996, the ASPCA conducted the Companion Animal Mourning Project, a study to find out whether pets showed signs of grief. It turns out that pets do: 46 percent of cats ate less after the death of a feline companion, 70 percent meowed a lot more or a lot less than normal, more than half became more affectionate and “clingy” with their people, and many slept more or slept in different places than they previously had. Not only that, but 65 percent of the cats in the study showed four or more behavior changes after the death of a fellow pet. I’ve seen feline grief up close and personal, too. When I first met my cat, Thomas, he was in the animal shelter’s isolation unit, fighting for his life as a respiratory infection raged through his tiny body. He’d been taken to the shelter with his sisters after his previous caretaker had gone to a long-term care facility, and I’d never seen such a mournful sight as this poor, sick and sad cat whose eyes reflected the broken heart that was destroying his will to live. It took a lot of intensive vet care to get Thomas back to health, and it took a lot of intensive emotional care to bring him truly back to life. Here are some of the things I did to help Thomas in those early days — and also things I did to help the rest of my cats in the wake of this year’s double cat-loss whammy. Cats are creatures of habit, and they tend to find any change disturbing. The loss of a beloved friend is a huge change. You can ease the stress of these turbulent times by doing things like keeping to their regular feeding schedules and being consistent with the times you’re at home and out of the house as much as you can. If your cat is grieving, you almost certainly are, too. In the throes of your feelings, it might be hard to respond appropriately to a grieving cat’s behavior. If your cat becomes more affectionate and clingy and you get frustrated by her constant demands for attention, try to understand that it’s her way of grieving. Likewise, if she’s not her usual cuddly self, don’t take it as a lack of caring. A grieving cat might find the sound of your voice soothing. Even if you don’t believe she understands the words your voice is saying, the words your heart is saying needs no interspecies translation. After Dahlia died, I took the time to hold Thomas on my lap at least once a day and tell him, “I know, sweetheart. I know you miss your Dahlia. I feel so sad, and I know you do, too. I love you so much, and we’ll get through this together.” You might find talking to your cat comforting, too; after all, she’ll listen without judgment. A grieving cat might show a greatly reduced appetite or even stop eating. 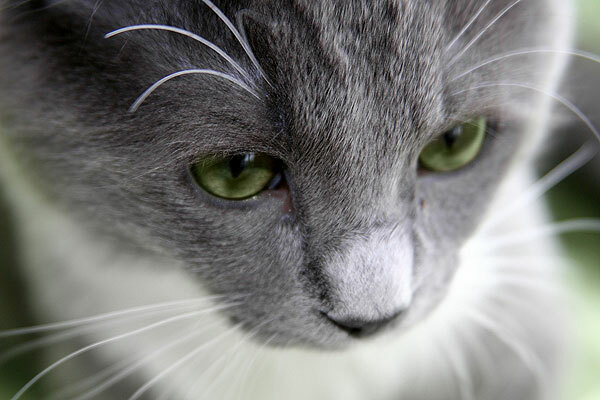 If a cat doesn’t eat for a few days, she risks developing a potentially fatal condition called hepatic lipidosis. Even if she doesn’t get sick from that condition, she becomes more vulnerable to respiratory viruses and other illnesses if she isn’t getting appropriate nutrition. If your cat stops eating and drinking, consult your veterinarian to see what you can do to stimulate her appetite. Your cat — and you— need to take the time to work through your grief before you add another cat to your household. 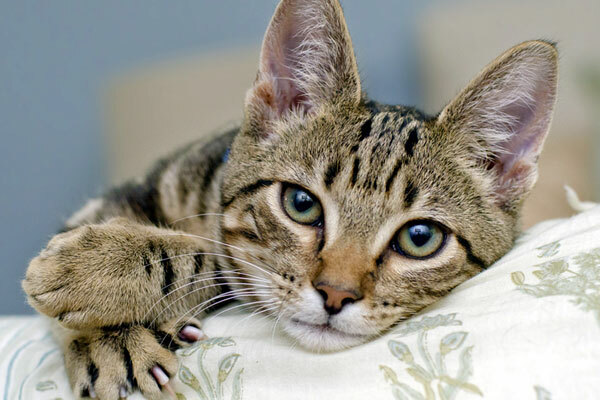 A new cat is stressful for the resident cat even under the best of circumstances, and getting a cat “on the rebound,” so to speak, is bound to create difficulties in your feline family. What do you think — Do cats grieve? How have you helped a sad cat through the loss of a beloved animal or human friend? Share in the comments.